I am sure I have Facebook friends who are tired of my status updates about The Boy. Tired of hearing about the ups and downs of our day to day. And I'm sure, there are a few who are just like "who cares about your kid with autism." Because if you don't have kids and/or if you don't have kids with special needs - why should you care? Last week, a friend asked me to be one of her guest speakers to her undergrads at Lehman College. At first, I was kind of like - why would anyone want to hear what I have to say? I can write about autism with no problem. People can choose whether or not they want to read. But to talk in front of a group? That made me nervous. And I honestly thought of backing out. I'm glad I didn't. I learned a lot in those 90 minutes. The class was made up of speech pathologists and social workers. I talked to them about my blog, my writing and of course - The Boy. My friend also invited Gregory Crosby. And he said something that has stayed with me. And while I can't quote him verbatim, this is the gist: We live in a world where people are on a need to know basis. But you never know what you'll need to know. And I thought about how I waited so long to get The Boy evaluated. I thought of all the signs that I didn't see. Because I didn't know what to look for. 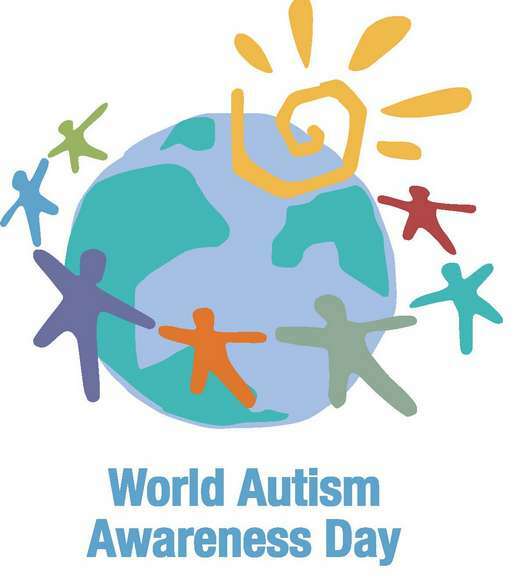 With 1 out of 110 children diagnosed with autism, it is more common than childhood cancer, juvenile diabetes and pediatric AIDS combined. However, everyone knows about chemo and insolin; everyone has a basic understanding of AIDS. There are still people out there who associate autism with Rain Man. And I've met people who have never even heard of autism. If you've never heard of it or don't know much about it, how will you know what to look for? How will you know when you need to know? When The Boy was first diagnosed. I didn't know anyone who had a child with autism. I had to create my own network. 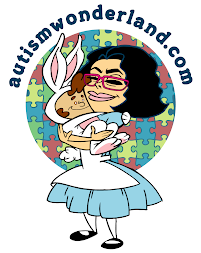 I didn't have a friend or a family member that had a true understanding of autism. No one could really tell me where to go or who to talk to. And there was no greater moment of isolation. So that's why, I go on and on about my kid and why I innundate my FB page with autism stuff. I want everyone single person on my page to know that, yes - I love someone with autim. That it's not a disability to fear, be ashamed of or express condolences over. Like with raising any child - there are good moments and not so good moments. The diagnosis will not defeat you, only ignorance will. So here's the thing, you NEED to know about autism. Period. Yes, even if you don't have kids. Even if you have typical kids. Whether you're a grandparent, aunt, uncle, cousin, sibling or friend - you all need to know. Because if you don't, the day may come when you'll need to know. And you'll have nothing to say. And it'll be the time in your loved one's life when you will want to provide some kind of support, comfort and more importantly - hope. But you won't be able to offer any of those things, if you don't have an understanding of autism. 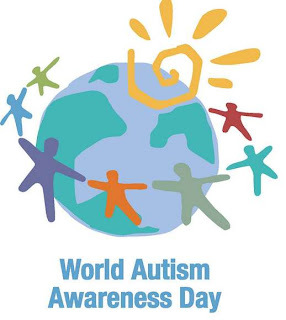 April 2nd is International Autism Awareness Day. April is Autism Awareness Month. But it should be everyday, until every one understands all the wonders of autism. I have learned so much from you and your voice on autism is so clear to me, so genuine, so readable. Keep writing, talking, telling us. We need to know. Not only because we should know, but because it makes our understanding of life, love and family all the richer and better. Wow, this is exactly how I was feeling today. Most of my friends seem to be afraid to even approach me to talk about the subject, maybe they don't know how to start the conversation or just want to distract me and amuse me with their lives..lol! Either way, if we feel like we need to let it out, then we should. Even if we never get the response we expect. I really enjoyed this post! I found your blog through S-O-S Best of the Best, Edition 5: $1,100 Giveaway Bonanza! I may also order the book you reviewed for my Kindle. However, this post caught my eye when I got to the bottom of your other post. I am totally with you. I won't shut up either. It is so important that people learn and start seeing the positives associated with our children. I too love someone with autism, but because she is on the high end and a girl, she was not diagnosed until she was 10. Years of being misunderstood along with being bullied shortly after the right diagnosis was obtained took a toll on her. She is an amazing young lady with potential to succeed at anything she wishes, but her life would have been so much easier if she had the correct diagnosis and understanding sooner. D.S. - Thank you! Misunderstanding has so much to do with lack of acceptance and awareness. I am always surprised when I meet people who don't know what autism is. How do people NOT know? Our kids are so amazing - it's a shame more people can't see that.